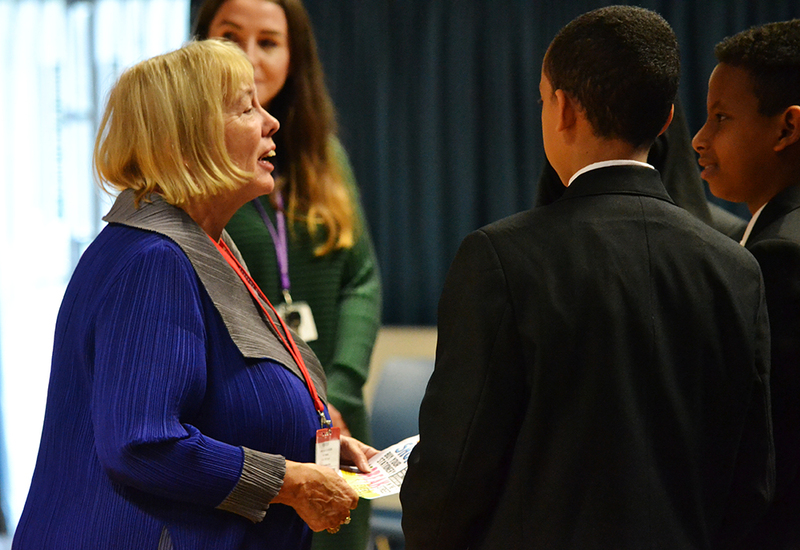 On Wednesday 7th November, the academy were honoured to receive a visit by Dame Julia Cleverdon, DCVO, CBE. Dame Julia is a longstanding friend of the academy and is a passionate and practical campaigner who has gained an international reputation for ‘connecting the unconnected’, inspiring individuals and organisations to work together for the common good. She is also co-founder and trustee of the #iwill campaign and Vice Patron of Teach First. 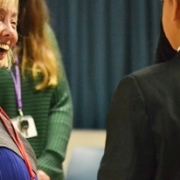 We provided Dame Julia with an update on the social action activities carried out by our students and introduced her to some of the academy’s community leaders. 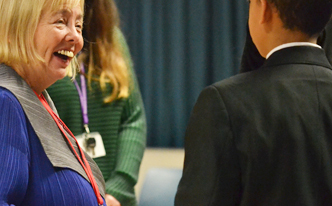 She also met a group of Year 9 students who are supporting the charity Addaction. They performed the drama piece that saw them win a £1000 top prize from charity First Give following weeks of researching, fundraising and social action work. They shared their experiences of all their hard work, including their performance at the National Assembly for Wales in Cardiff Bay. 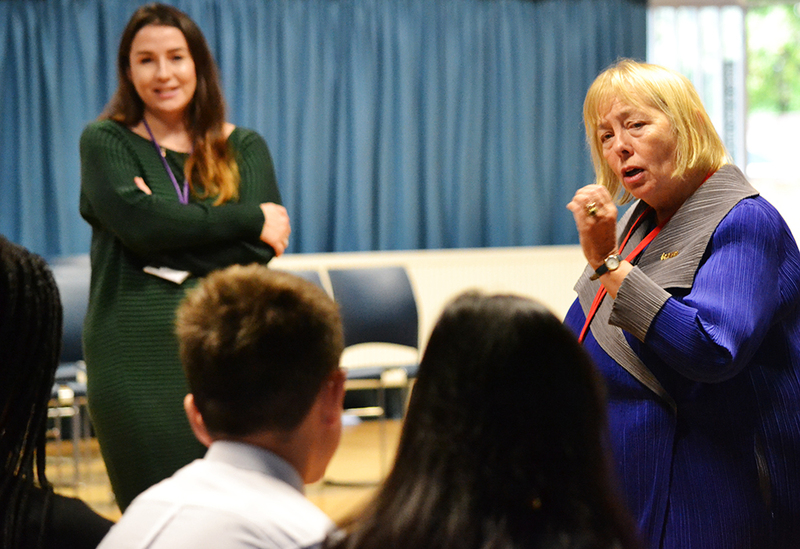 Dame Julia thought their achievements were hugely impressive and in return she shared amazing stories of how young people are changing their communities up and down the country. 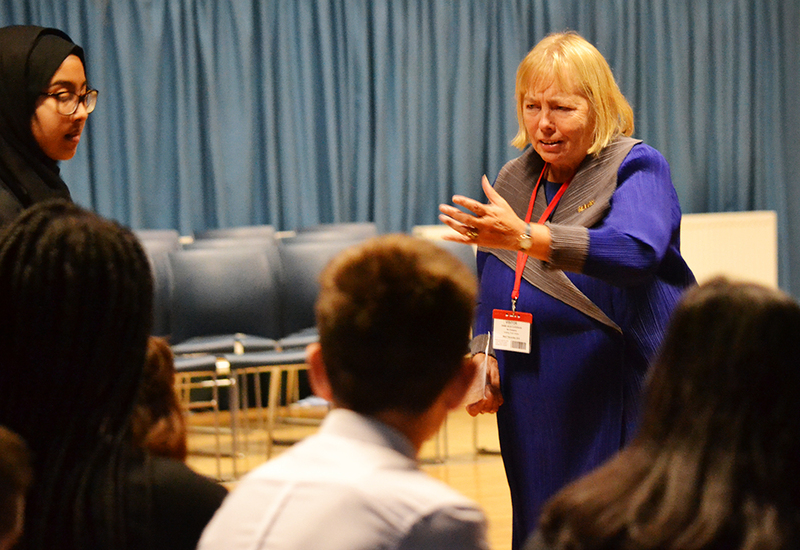 It was an inspiring and uplifting morning and we look forward to developing our work with Dame Julia over the coming year.